This end table promises to be a sophisticated and stylish addition to your room's décor. 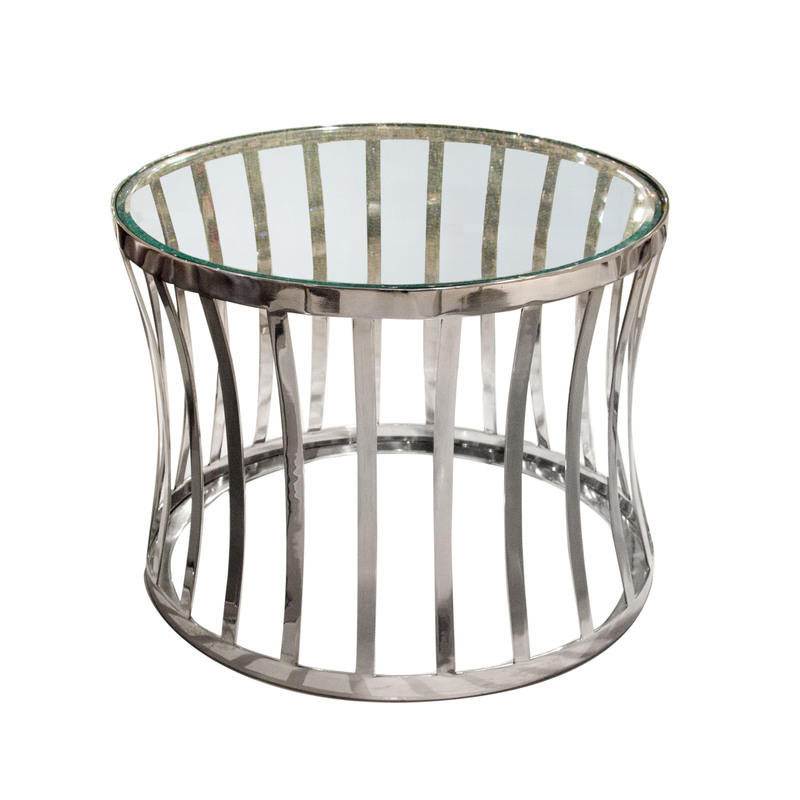 With its polished stainless steel hourglass double ring based topped with clear tempered glass, the end table will add a luxurious feel to any setting. Artisan quality, show stopping appeal, this table will add a distinctive and timeless style to your home. The Capri End Table by Diamond Sofa at Red Knot in the Oahu, Honolulu, Kapolei, Pearlridge, Salt Lake, Hawaii area. Product availability may vary. Contact us for the most current availability on this product. Browse other items in the Capri collection from Red Knot in the Oahu, Honolulu, Kapolei, Pearlridge, Salt Lake, Hawaii area.